Hope you all had a great Christmas! What did you get up to? Let me know in the comments or on twitter what you did, I’d love to hear. I spent Christmas with family and friends, and I got to see some I haven’t seen in a long time, so it was the loveliest few days. I spent Christmas Eve with the family and we had santa visit the house for the very excited kiddies, and then went out with some of the girls in the family for a meal and a drink, which we don’t get to do often so it was really nice. Christmas Day was again spent with family, some of the family came around after the present opening, and we had more family around after dinner and we spent a fun filled evening playing games and my brother’s new PlayStation VR and having a few too many drinks, ha! Boxing Day / Stephen’s Day I went and visited the other side of the family and spent one of the nights visiting one of my life long friends, which was so lovely because I don’t get to see all of these often. And that was pretty much it for Christmas, but I’m excited to ring in the new year this weekend in Cork with Claire and the others down there, my second home at this stage! 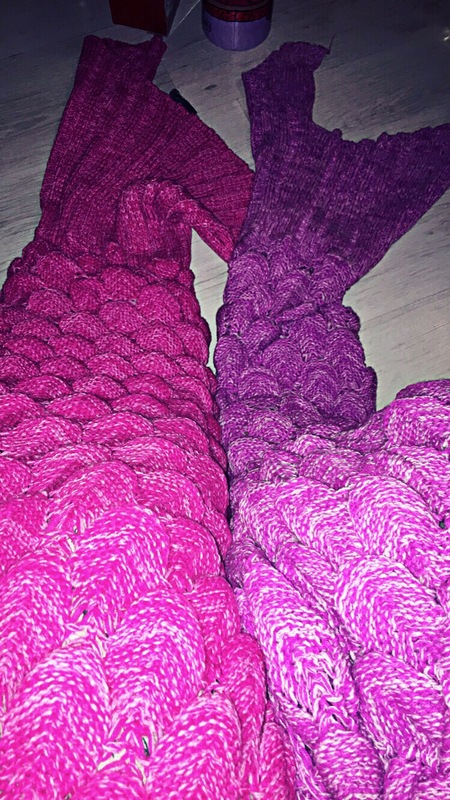 One of my favourite things, was the mermaid blanket, which I’m sure so many people got, but I love it because it just made it so much cuter that lily got a matching one in a different colour. And on the mermaid theme, I couldn’t wait to open these babies. 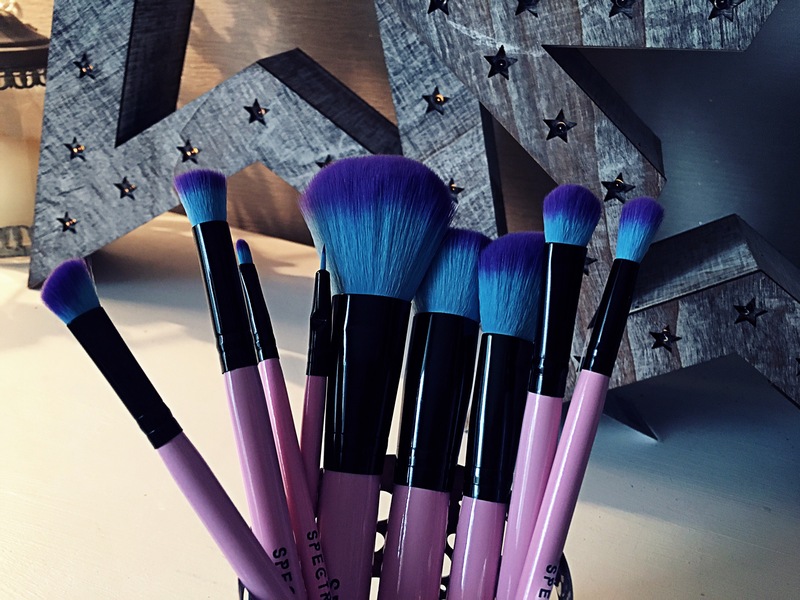 I got these beautiful makeup brushes from Spectrum Collections, they couldn’t get any prettier if they tried. So in love, I’m putting it off to avoid ruining them with makeup but I can’t wait to use them! If you’re interested, they’re called the 10 piece essentials set. I also got some of the cutest pj’s, here’s my favourites, so Christmassy! And the cosiest housecoat and cosy socks. Nothing beats new pjs on Christmas Eve, the best feeling! 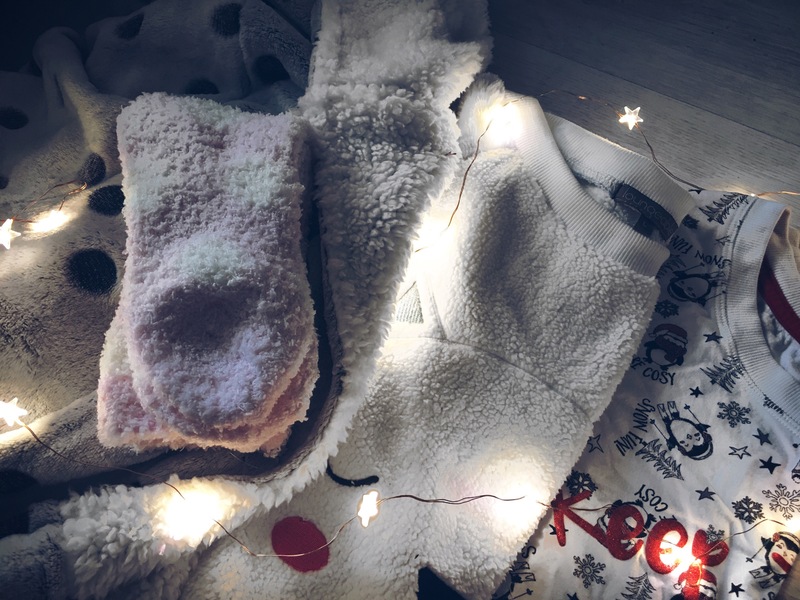 I also got the cosiest housecoat, the softest thing I think I’ve ever felt, and cosy socks in a hamper from one of my good friends, so cosy when you’re just lounging around the house. 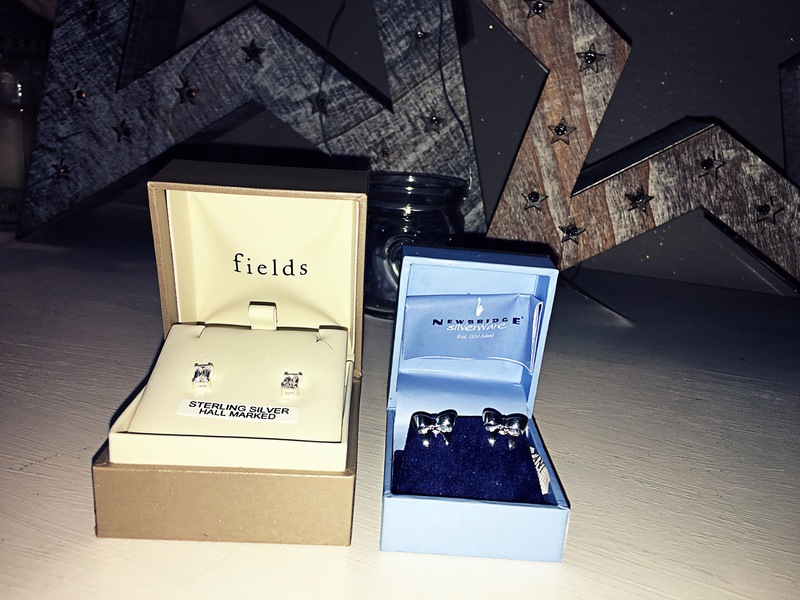 I got these two sets of beautiful earrings, but the little angel charm for my pandora bracelet is one my favourite things, for personal reasons, but that gift in particular really means a lot to me. 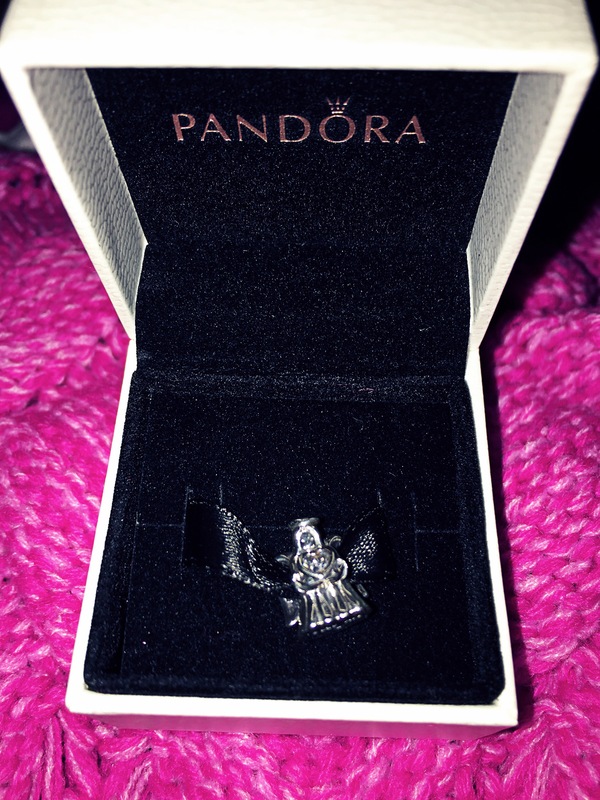 It’s looks so beautiful on the bracelet. 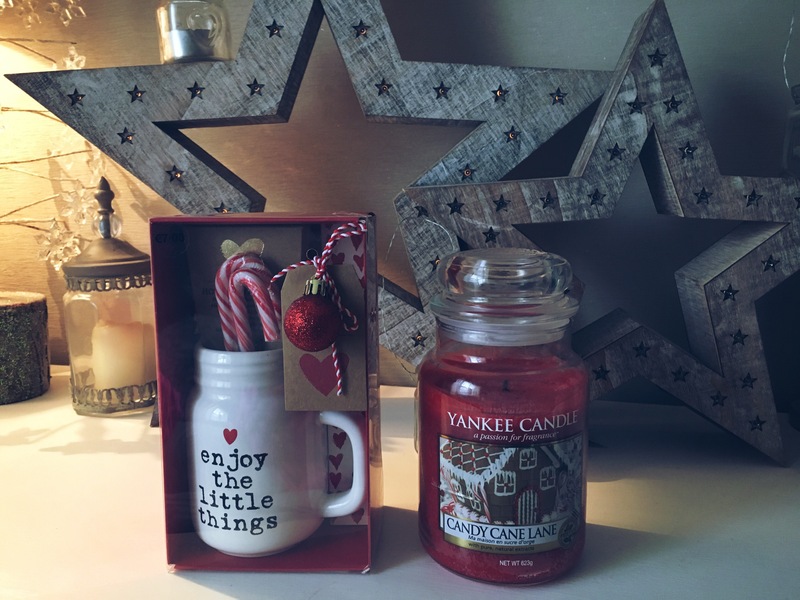 The Candy Cane Lane Yankee candle is also one of my favourites, one of the most Christmassy scents and it takes me right back to my childhood. It smells delicious! The little set beside it is a little gift from Karl, which brought out the emotional big sister in me when I read the gift tag, so sweet. After trying out the gorgeous body shop set from Claire, I’ve decided need to go and buy the big bottle of the Spiced Apple body wash, I fell in love with it, it’s the perfect winter scent. I used almost all of it before I took the picture, oooops! I can’t wait to try these other two sets from Soap And Glory and Benefit, two of my favourite brands! I also got this gorgeous body spray from Victoria Secret and Black Opium perfume by YSL, which is the perfume I’ve wanted literally for the last 2-3 years or something, but could never get my head around spending that much on myself, so I was a very happy lady opening this! I feel overwhelmed and so so lucky with all the family and friends I got to spend Christmas with and all the gifts I received , so grateful. I’m so sorry if you’re reading this and I didn’t include yours, but this post would get very boring if I rambled on any longer. If you also posted about what you got for Christmas please send me links! I do apologise for the quality of these pictures, natural lighting just isn’t working with me today, it’s so dark and meh outside, so without all the fancy lighting, this was the best I could do. Hope you enjoyed reading, hope you all have an amazing weekend celebrating New Year! The YSL black opium perfume is my all time favourite! I got a mermaid blanket for Christmas and my god, it’s amazing! It’s so cosy for my legs although it is way too tempting to just stay on the sofa and not budge all night! I’m glad you had a lovely Christmas! Your presents are all so adorable, I especially love your PJs. It’s not Christmas without getting a new set. That sounds like the perfect Christmas! You got some lovely stuff, I’m really need to get myself some spectrum brushes! 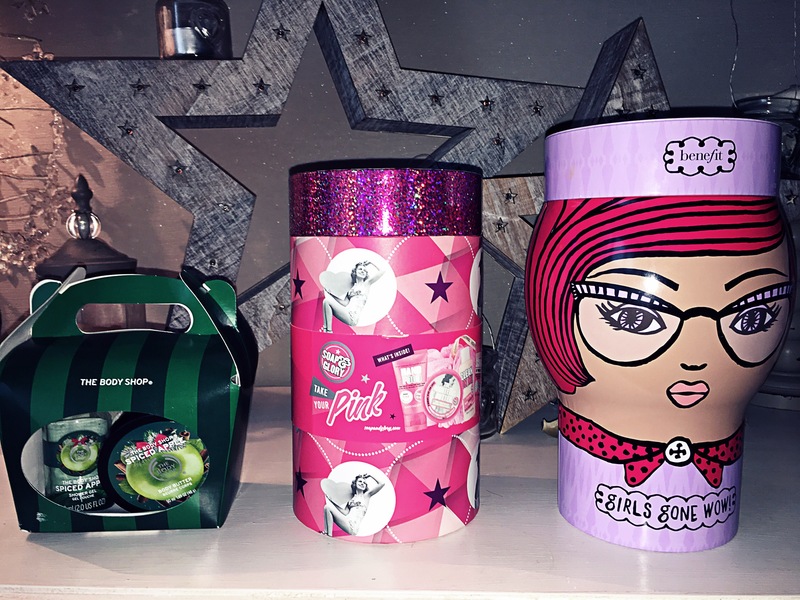 I love Yankee Candles and I got that Soap and Glory set as well! I know Christmas shouldn’t be all about the presents but it is so lovely when people take the time and effort to get you something they know you’ll love. Hey laura! Looks like you had a great Christmas & overall holiday season! Love those makeup brushes & the little bow earrings :)) so cute! Happy 2017!